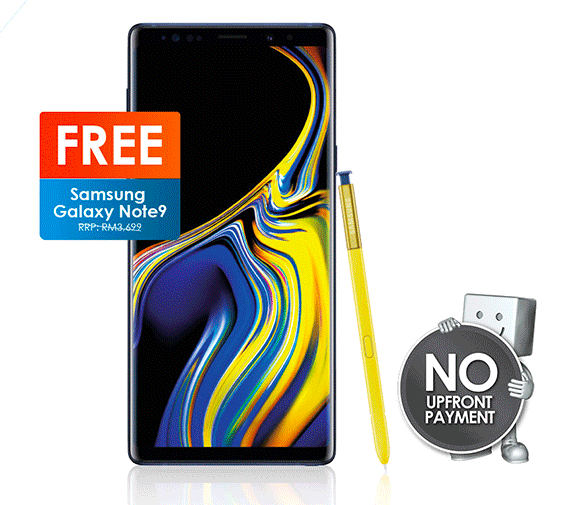 Are you a Celcom customer and want to pay nothing for the Samsung Galaxy Note9? Celcom is now having a promo where you can pick up this RM3,699 productivity phablet for free and with RM0 upfront cost. The only thing you’ll have to pay is the monthly postpaid subscription fee. This RM0 offer is only applicable if you take up the Celcom Platinum Plus plan on a 24-month contract. Costing RM188/month, the plan comes with 100GB of monthly data, 100GB Super Video Walla (video streaming), unlimited calls to all networks and unlimited WhatsApp & WeChat usage. 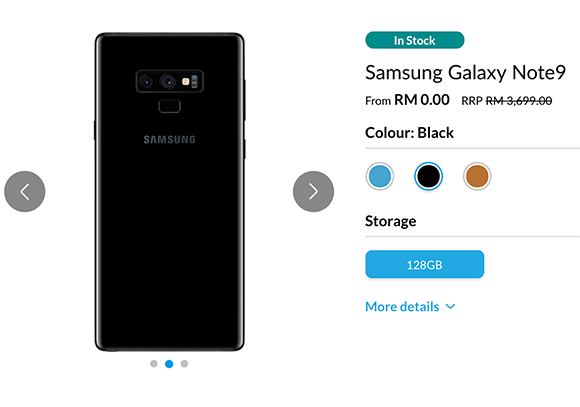 As a comparison, the Galaxy Note9 128GB was previously offered at RM999 on the same plan during the pre-order period. By default, there’s an RM1,200 upfront payment required and this amount will be rebated back to your monthly bill. With the on-going free phone promo, this upfront amount can be waived if you’re an existing Celcom customer of more than 12 months with good payment history or CTOS score. If you’re interested, you can get it online or visit your nearest Celcom outlet. This free phone with zero upfront promo is available from 25 October until 3 November while stocks last. 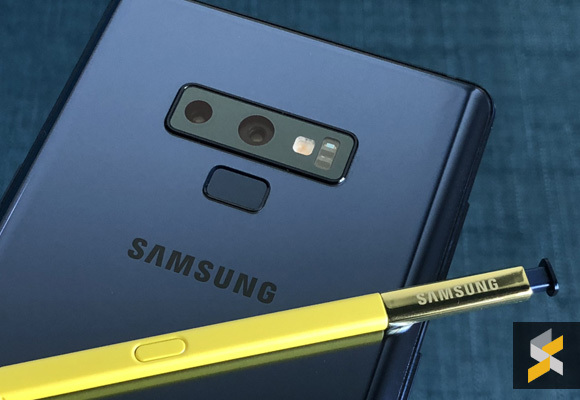 To recap, the Galaxy Note9 is Samsung’s latest flagship that comes with a 6.4″ Quad HD Super AMOLED display and it runs on an Exynos 9810 processor with 6GB of RAM. The 128GB internal storage is still expandable and it can accept microSD cards of up to 512GB. The Galaxy Note9 features a dual-camera setup that offers a variable f/1.5-f/2.4 aperture and 2X optical zoom. Powering the device is a 4,000mAh battery which can be charged quickly via USB-C or via wireless charging. You also get stereo audio playback, IP68 dust and water resistance and support for Samsung Pay. The S Pen on the Galaxy Note9 is now Bluetooth enabled which you can use as a remote control. If you prefer to get the device outright, Samsung Malaysia is offering RM400 off for both 128GB and 512GB versions.